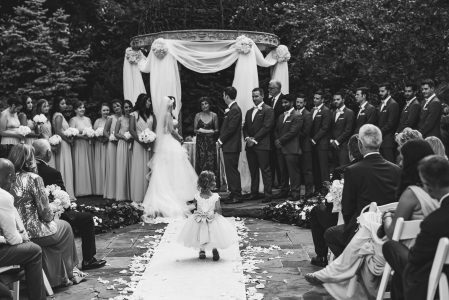 Watching the flower girl shyly drop petals to the floor or watching the little ring bearer walk down the aisle is definitely a heart-warming moment, but many don’t realize how hard it is to get young children to cooperate. Entertainment is key – if there is going to be young children at your wedding, make sure to include activities that will keep them entertained and occupied. This will allow your nuptials to go on as planned and allow you to focus on your special day. So often young children get nervous, lose interest, and don’t want to be surrounded by adults staring at them. 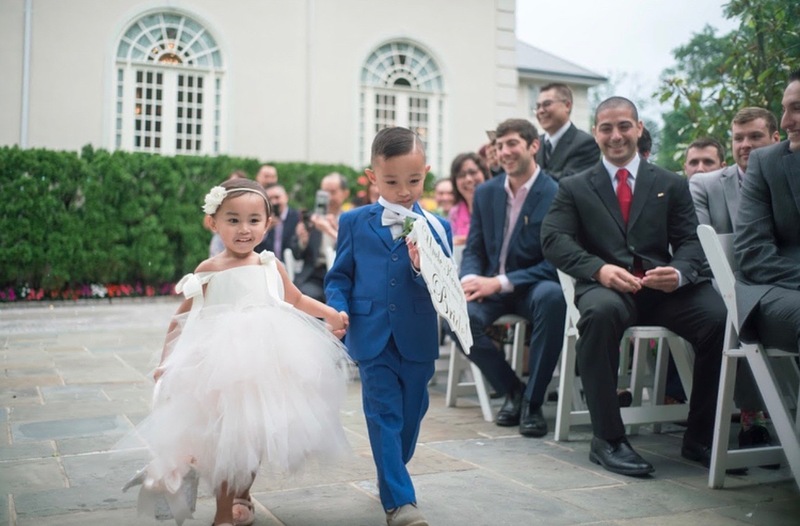 Here are a couple of ways to incorporate young guests into your wedding, so that all of your attention is devoted to your special day. 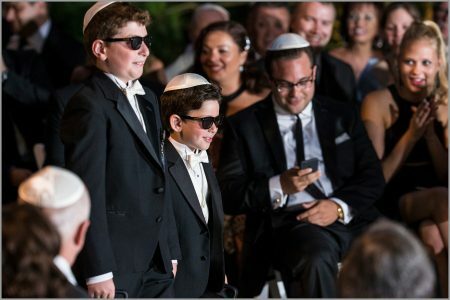 Children are notorious for being unpredictable during the ceremony, so make them feel like their role is extremely important. Explain to them why they are in the wedding and how much it means to you that they are in the ceremony. This will make them feel like their role is crucial to the wedding. Their dedication will be cute and keep them occupied as they fulfill their duty. 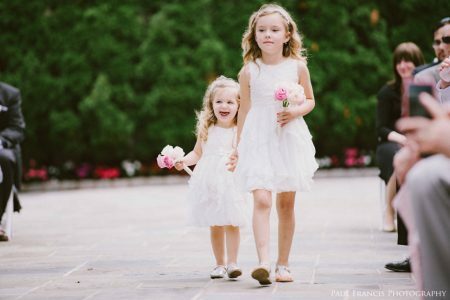 Allow children, Flower Girls, Ring Bearers, or siblings to walk together. This will make them feel more comfortable walking down the aisle. Remember that there’s safety in numbers. Many younger children will feel more comfortable with their older siblings there to help and guide them. Another tip is to place familiar faces along the inner rows so children see people they know and recognize. Include a couple songs that the children would enjoy dancing to. This can be a popular pop song or a dance along song. This creates a fun family memory and lets kids know that they are more than welcome to join in on the party. Every child loves getting a gift bag. Try giving children items that will keep them entertained without creating a mess, this can include a coloring book and crayons (not messy markers), a handful of small toys, or a portable charger to make sure their electronic devices stay powered. These items will occupy children during the reception so you and other parents can enjoy the party. If you know there will be a lot of children in attendance, create a table for them with a couple of activities that will keep them entertained during the reception, like having coloring books, bubbles, or Legos. This table could also be where you keep the goody bags or just have a space where children are allowed to hang out and play with one another. 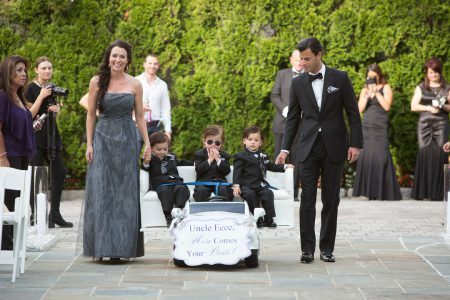 Incorporating young children into your wedding is never easy but it can be done. Always come up with a backup plan because children are notorious for being unpredictable. Remember that planning ahead of time will take off a lot of the stress off of the actual wedding day.